Offering you a complete choice of products which include multi cyclone dust collector, cyclone dust collector, bag filter system, trima cyclone and electrostatic precipitator. 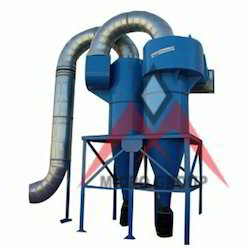 We are instrumental in offering superior grade Multi Cyclone Dust Collector to the clients. 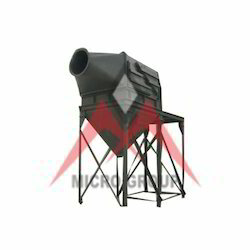 Manufactured using premium grade raw material, these dust collectors are highly durable and possess resistance to adverse conditions. 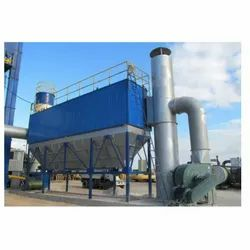 Offered range of dust collectors finds huge applications in plastic processing, pharmaceutical, powder coating, food processing plants, air conditioning plants, pneumatic transport of solids and cement & mineral. 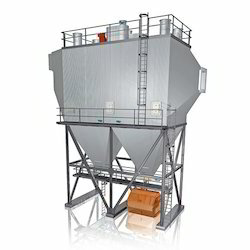 Our offered Cyclone Dust Collector is simple tanks with no moving parts and is used for dust separation. 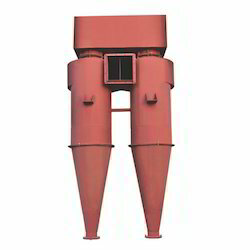 The specifically designed Cyclones Dust Collector comes with longer cones that provide better the fine material separation and create more resistance because the air has to run more revolutions. The larger cyclone outlet ensures less resistance with slower airflow making much finer the separation. This can be availed at leading market rates after it is tried and tested before it is made for customers use by our engineers to ensure compliance. Our offered Bag Filter System is an air pollution control device that removes particulates out of air or gas released from commercial processes or combustion for electricity generation. This operators like the bag of an electric vacuum cleaner entrapping the solid particles on the surface of the fabric. With a wide range of available fabric filter media the bag house can be easily adapted to various operating conditions. Efficient air lock rotary for removal of dust from hopper. Fostered with immense years of industry experience and market understanding, we are engaged in manufacturing, exporting and supplying excellent quality Trima Cyclone that is used to separate coarse from fine dust. This product is manufactured by utilizing quality approved raw material and advanced technology by our skilled professionals. Offered product is available in various technical specifications as per the requirement of our clients. Further, this is Trima Cyclone equipped with storage tanks, fluid pipelines, etc. 50% - 70% cost savings when compared to traditional media and water based systems! Our team of experienced professionals have enables us to offered Electrostatic Precipitator. These are manufactured using high grade raw material and components that are sourced from the certified vendors of the market. Available with us at market leading prices, offered products are used for the pollution control purpose. Motorized tumbler hammer rapping system to avoid complexities of magnetizing. Very simple to maintain as compared to EMIGI system. “Power off rapping” can be incorporated so that the dust cake collapses with least resistance.